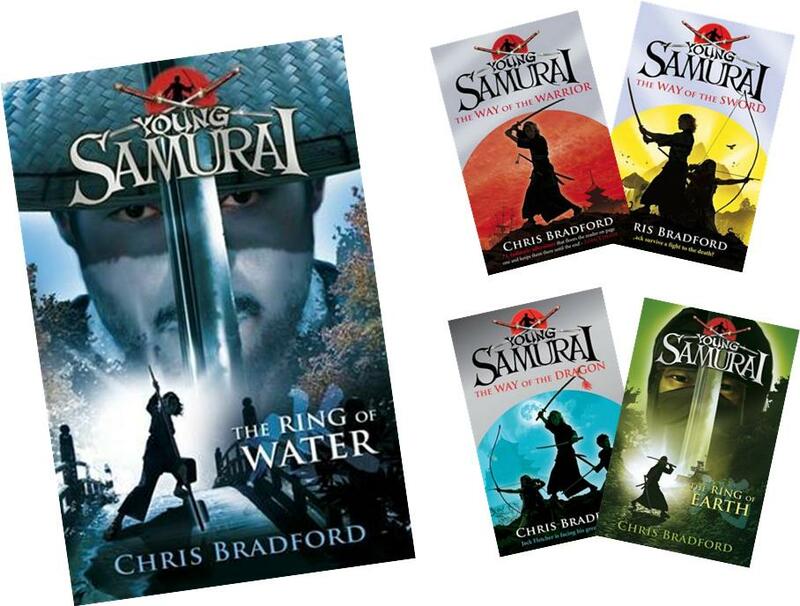 The Ring of Water, fifth installment of Jack Fletcher’s samurai adventures is out on 3rd March. To celebrate its release, I am delighted to run a giveaway in partnership with Puffin to win all five titles in the series! This is a very successful adventure series, and deservingly so, taking place in 17th century Japan. Chris Bradford is also a really nice guy, really inspiring. My son was absolutely in awe of him when we met him at the Red House Children’s Book Awards ceremony in 2009 and if you are ever looking for an inspiring speaker to enthuse boys particularly about reading, Chris is your man: he does the most amazing tricks with his samurai swords; he has a black belt in Tai-jutsu (the fighting art of the ninja – eek!) and he does have nerves of steel (and you’ll need them too!!!). This giveaway is open to UK residents only. The closing date is Wednesday 9th March.